Oli from Argentian Pizza is collaborating with Charlie from Indie Ales ina special beer and pizza night at Oli's regular venue, Cafe Commune in Corsham Street, near Old Street. £32 gets you a starter of Argentinian Empanadas, and two main courses of Trully Original Argentinian Pizzas, £42 gets you the same plus an extra beer, and a dessert. Charlie will talk you through the beers served, and explain why they've been paired with the different dishes. Our first «Special Edition» is about Craft Beers & Argentinian Empanadas. Also we will be serving two different and trully original Argentinian Pizzas Recipes. Optional Ticket Upgrade: Four (4) Craft Beers & Three (3) different Courses Plus Dessert. 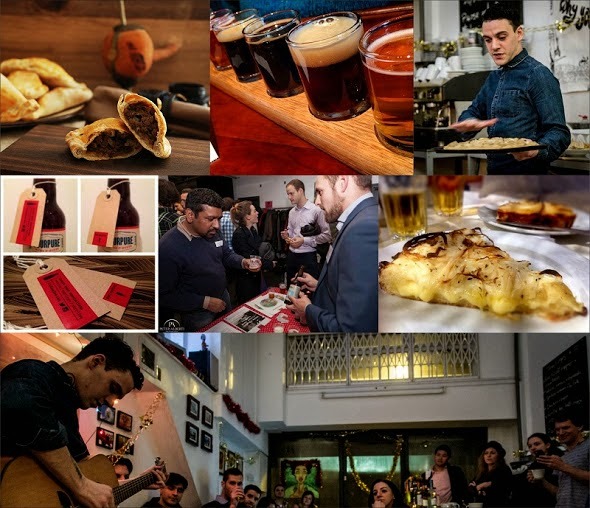 You will receive amazing, fantastic London's best Craft Beers & a guided tutored tasting experience."